Payments of fraudulent claims have a substantial negative effect on the loss ratio of insurers and on insurance premiums that are calculated to customers. Fraudsters are getting smarter in their attempts to slip under the insurer’s radar. As a result, money flows to the wrong people and combined ratios are put under pressure. 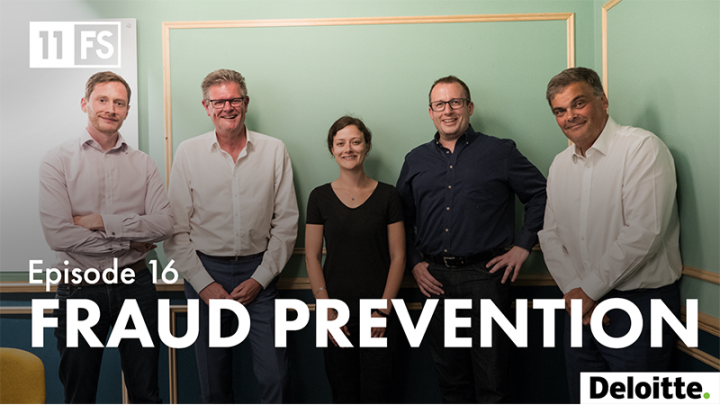 In this fraud prevention podcast answers to today’s and future challenges are provided. Listen the full podcast episode via this link. On the latest episode of Insurtech Insider, Sarah Kocianski (Principal Research analyst at 11FS) and Nigel Walsh (Partner at Deloitte) are joined by insurtech experts to give you the very latest in fraud prevention in insurance. Joining the hosts are our colleague George Herber, Business Development Manager, David Hartley, Director of Fraud and Financial Crime Practice at SAS Global and Greg Brown, Partner at Oxbow Partners. Insurtech Insider – a dedicated fortnightly podcast catering for all your insurtech needs.